Over the years, Tine K Home have released home collections that reflect the style and mood of each season. Soft, Moon, Dust, True, Dark and Feel are just a few of the previous names. This year, SLOW is based on honest materials and usable colours for a calm and fundamental yet sophisticated atmosphere. Raw textures, handmade objects, soft fabrics, muted warm tones will take you places. Embrace Summer the slow way and enjoy a calm pace in your home. 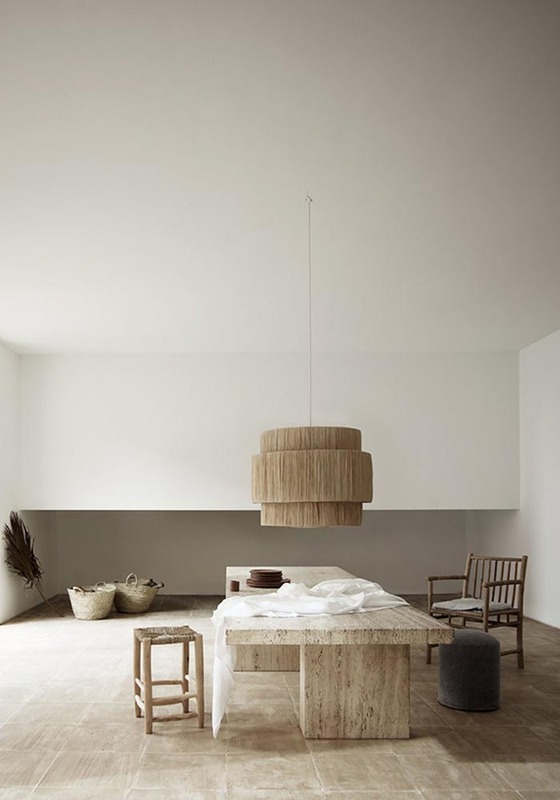 SLOW by Tine K Home was photographed in the beautiful and minimalist Neuendorf house in Mallorca. Designed by John Pawson and set in an almond grove, with views of sea and mountains, it’s a tranquil, minimalist, ethereal space, surrounded by nature. High bare walls, muted tones, the house is a perfect location for this Summer collection. When the sun breaks through, light and shadow create an ethereal setting to showcase stunning handmade products. A dreamy setting beautifully styled for a collection that makes me crave for Summer. I feel it’s the kind of atmosphere that would suit our next renovation project: Casa Pyla. You can follow Casa Pyla here if you wish and visit Tine K Home to see the whole collection. The collection is also available here in the UK. What do you think of the SLOW collection? You can sign up to my e-news here and follow me on Bloglovin’ here.